We've pulled together some fun things to do at home with your kids to celebrate this classic festival with lots of colour! First off, we at Hopster would like to wish everyone a happy Holi celebration! Whether you are familiar with this celebration or are hearing about it for the first time now, we’ve got some great ideas for you and your kids to join in on the celebration – in the most colourful way possible! Holi is also known as the Festival of Colour, because on this day everyone goes outside and throws coloured powder in the air (and on each other), making it one of the most beautiful and fun festivals that welcomes in the spring. We have found some great activities that teach your kids about colour. Try out one (or all!) of our suggestions this Holi and let us know how it goes on Facebook! 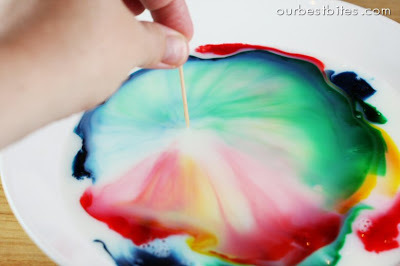 This is a great activity for some sensory play with texture and colour, and a nice introduction to printmaking. 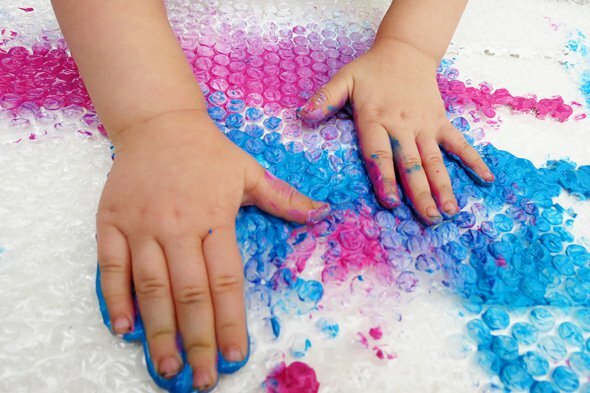 Roll some bubble wrap out onto the floor/table, squirt a few different colours (Crayola Washable paint or Tempura paint easily washes off) onto it and let the hands do the rest. Once happy with the painting, press a white sheet of paper down onto the bubble wrap for a unique print! Have a look at this Childhood101 post for more info. 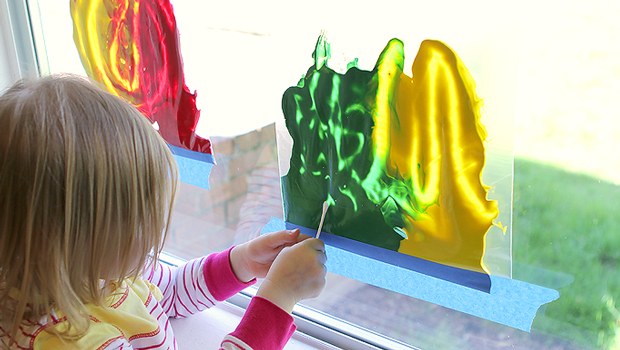 Find out more about finger painting without the mess on this ehow blog. Our Best Bites does a step-by-step guide to conducting this experiment too! Holi is an ancient Hindu religious festival which is primarily observed in India and Nepal. In later years the festival has spread to become popular in parts of Europe and North America. Holi is about bringing people together, and all differences such as class, gender and race are forgotten. Holi is a 2 day festival. On day 1 a bonfire is lit to signify the destruction of evil. It is on the morning of the second day that people go outside to celebrate with coloured powder and water. It is also known as the Festival of Colour, or the Festival of Love. 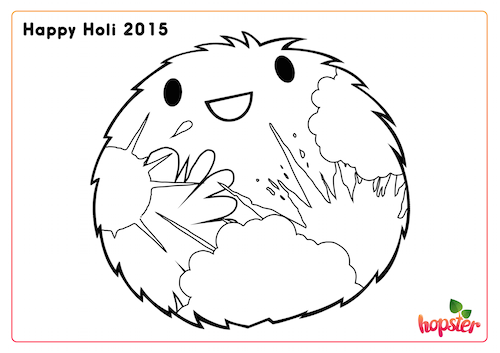 PS: We’ve made a special Holi-themed colour-in sheet for your kids. Simply print it off and get Fluffster in the Holi Festival spirit by giving him lots of colour!